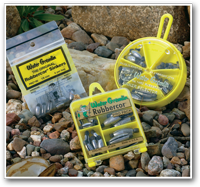 Water Gremlin developed the Rubbercor® Sinker in 1949… the first truly original idea in sinkers since the rock. Rubbercor® slips easily on and off your line. 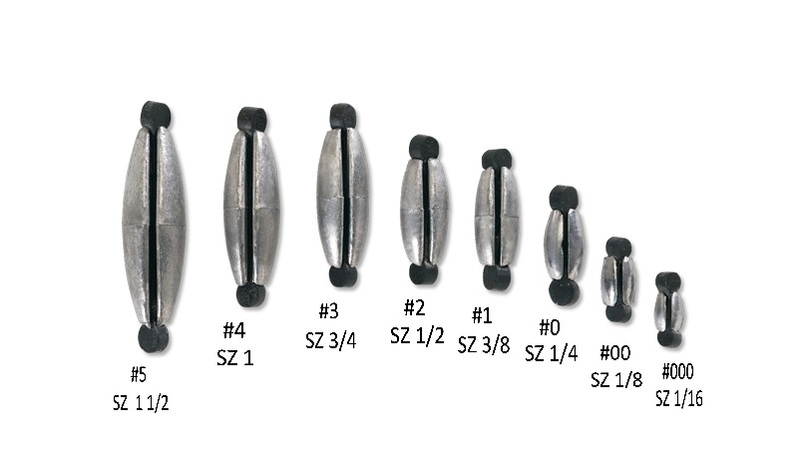 Just give the rubber ears a half twist in opposite directions and Rubbercor® is ready to take your bait down to where the fish are biting. Your line is protected by the rubber core inside the lead sleeve. To remove, simply twist the ears back to their original positions. There’s no tying, no pinching, no fuss, no mess. Rubbercor® is safe to use, even on the lightest monofilament line. Sizes shown: #5, #4, #3, #2, #1, #0, #00 and #000. Available in Fry Pan Selector, Pro Pack and Zip-Lips.